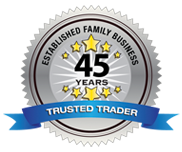 Buy Your Old Vehicle is a family run business with over 45 years combined trading experience. Based in Kimbolton, Cambridgeshire. We offer FREE scrap car and vehicle collections in the surrounding villages and towns in Cambridgeshire as well as Bedfordshire and Northamptonshire. We can pick-up your old vehicle, scrap car, non running vehicle, motor home, van or 4x4 from your home, your garage or your place of work at a time that suits you. Buy Your Old Vehicle will provide full payment on collection, we can take your old vehicle away today! 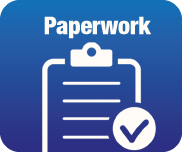 We even fill out the DVLA paperwork for you! ​Did you know we are registered with Huntingdonshire District Council, The Environment Agency and have over 45 years experience as an established, trusted family business. We buy any old cars and vehicles up to the value of £4000. Including unwanted cars, vans, 4WD's and motor-homes. Old cars, broken cars, MOT failures, uneconomic to repair vehicles, scrap vehicles and non runners. Why sell your vehicle for scrap? You will only ever receive honest valuations and our valued customers have all said they prefer to sell to a local trustworthy company!